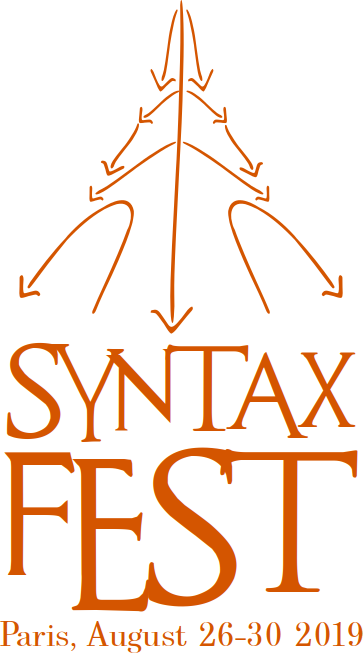 The SyntaxFest will take place in the last week of August (Aug 26-30) 2019, in the center of Paris, in the "Grand amphitheatre du Monde anglophone" of the Sorbonne Nouvelle. On the submission site, authors submit their paper only once for the whole SyntaxFest, composed of 4 conferences, but they can uncheck conferences they do not wish their paper to be considered for. If the paper is deemed appropriate for more than one of the selected conferences, the SyntaxFest joint organization committee decides on the final placement of the paper, which implies the day of the presentation and the proceedings the paper will appear in. In order to include reports on last-minute results and work in progress, a second round of submissions of short papers of up to 6 pages will be organized with a submission deadline of June 5, 2019. Reviewing of papers will be double-blind. Therefore, the paper must not include the authors’ names and affiliations. Furthermore, self-references that reveal the author’s identity, e.g., “We previously showed (Smith, 1991) …”, must be avoided. Instead, use citations such as “Smith (1991) previously showed”. Papers that do not conform to these requirements will be rejected without review.